This lie has to do what we call “electronic eavesdropping detection sweeps” or what is commonly known by the public as “bug sweeps“. 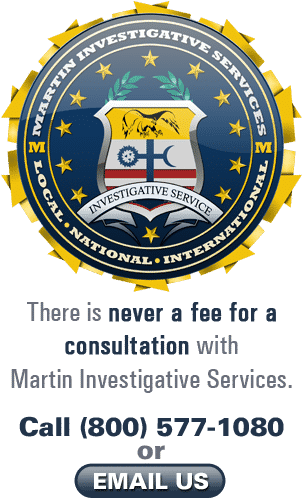 The truth is: 99.8% of all private investigators do not have the training, experience or knowledge to conduct a sweep of your home, business or vehicle. They have never worked a wiretap, Title III or even a pin register. Most don’t even know what those are. In the early 1980’s I was first asked to “debug” a client’s home. I told them I had no expertise in this matter. During my first year in the business, this became a very common (if not routine) request. I inquired among those few investigators working back then. I was stunned. My first thought was What happens if you did a sweep using phony equipment and later it was determined you missed the bug, monitoring device or camera? Then there is the unethical monetary part of the equation. We currently have three highly skilled technicians who perform bug sweeps for us in the Southern California area. We conduct a two-day, three phase search of the home or business in question. Being a fully, upfront transparent agency regarding pricing, we are pleased to let you know what we charge. Use it as the gold bar standard. Anything less, be assured it is a fairy-tale and you are wasting your money. There are two levels of pricing. If your home or business is 3,000 sq. ft. or less, the minimum cost to perform a sweep is $4,800. If your sq. footage is more than that we have a simple formula to follow which is $1.50/sq. ft. In other words, if your home is 5,000 sq. ft., you take than number times $1.50 for a total cost of $7,500. We do conduct sweeps throughout the United States but the cost is increased for our experts to travel with our equipment to your location. You can call us for pricing. Here is how the biggest lie is perpetuated. The cost to buy the equipment we used is approximately $100,000 per set. We have three sets and they are in daily use. That is a huge expense for even a top-level PI agency. Instead, the unscrupulous PI’s buy a simple RF (radio frequency) detector with headphones and a long antenna. That equipment cost a few hundred dollars and is useless in today’s highly technical world of sophisticated devices and cameras used to monitor your conversations and actions. It will turn a red light on when near a TV, radio or airplane. Total scam. They charge from $500 to $1,200 to come to your home and/or business and do the dance of “hocus pocus.” A complete fraud. You are better to do nothing then hire these folks. Ironically, if they miss something, and they will, you are worst off now thinking your area is safe and secure. Are we worried about a backlash or negativity in our industry? Not at all. I doubt there is one person who is competently trained in this subject matter that will disagree with my assessment. You can’t get your house painted for $500. Nor can you get a honest sweep of your home for $1,200 or less. If you hire someone for that price, I guarantee you a “sweep phony” will arrive at your door with his magic wand, walk around your home for a few minutes and then laugh all the way to the bank.